If you’re located in the Hickory, NC area, call us at S&H Pools for any of your swimming pool repair needs, big or small. 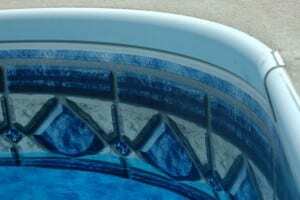 Swimming Pool Repair in Hickory – Swimming Pool Repair comes with the territory when you are a pool owner. Pools require a significant amount of maintenance, and if you’re putting your pool to good use, it’s likely that you’ll need swimming pool repair at some point. If you’re located in the Hickory, NC area, call us at S&H Pools for any of your swimming pool Repair needs, big or small. Common causes of pool damage include storm damage and exposure to the elements, like ice and wind. Sometimes mid-summer storms can wreak havoc on your pool; if that happens, give us a call right away so we can get your pool repaired and back in working order as quickly as possible. 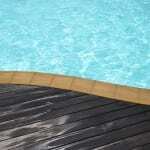 More commonly, we find that major pool damage happens from improper winterizing of your pool. If the pool isn’t winterized correctly, the water will freeze and expand, causing cracks in the pipes and even in the pool itself. This repair can be costly and is almost always preventable. At S&H Pools, we offer services to winterize your pool to ensure that these problems don’t happen and give you the peace of mind that you won’t be surprised with costly repairs when the time comes to open your pool in the spring. We can also get your pool ready for use again after the winter is over. We know swimming pool repair can be a hassle and is one of the least enjoyable parts of owning a pool. Fortunately, if you work with our team at S&H Pools, the process for your swimming pool repair will be as painless as possible. We are a locally owned, family run business and are personally invested in your satisfaction. We look forward to working with you on your swimming pool repair and getting you back to having fun in your pool.